The EcoCentre provides a range of opportunities for university and high school students to complete their work experience or student placement. The EcoCentre provides a range of opportunities for pre-teacher students, teachers on maturnity/ paternity leave or those who have been out of the of the classroom who would like to experience a range of pedagogy and educational opportunities in a variety of schools. 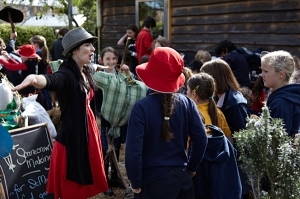 Teachers on placement will 'shadow' our Educators are they deliver a wide range of incursion and excursions. Student and Teacher placements are voluntary.